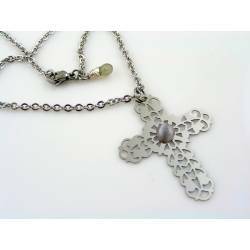 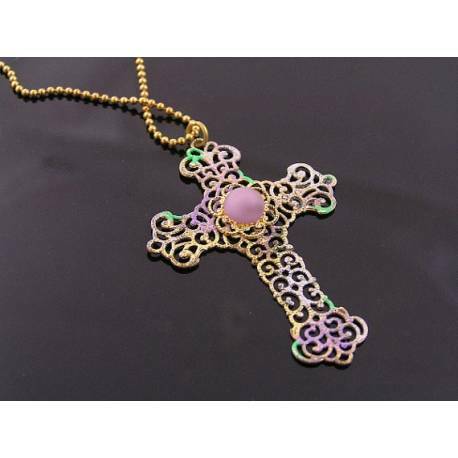 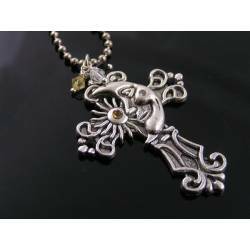 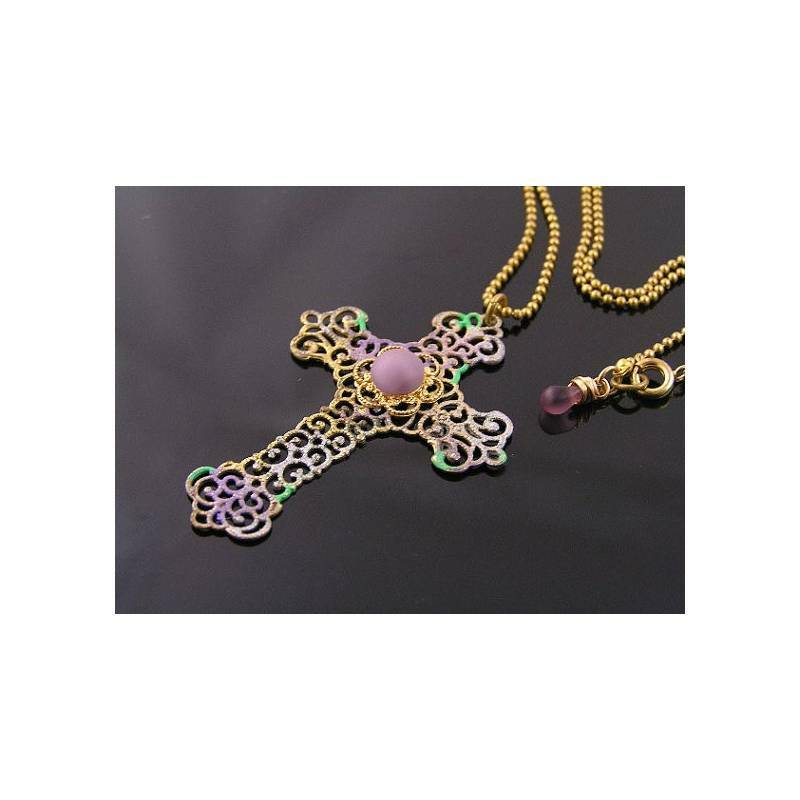 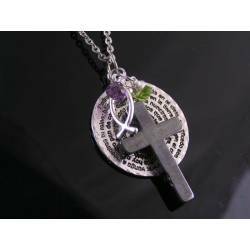 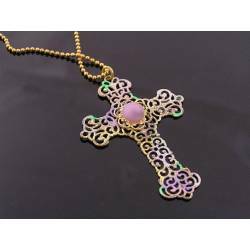 This is a good sized yet light weight filigree cross - ideal to make a statement. 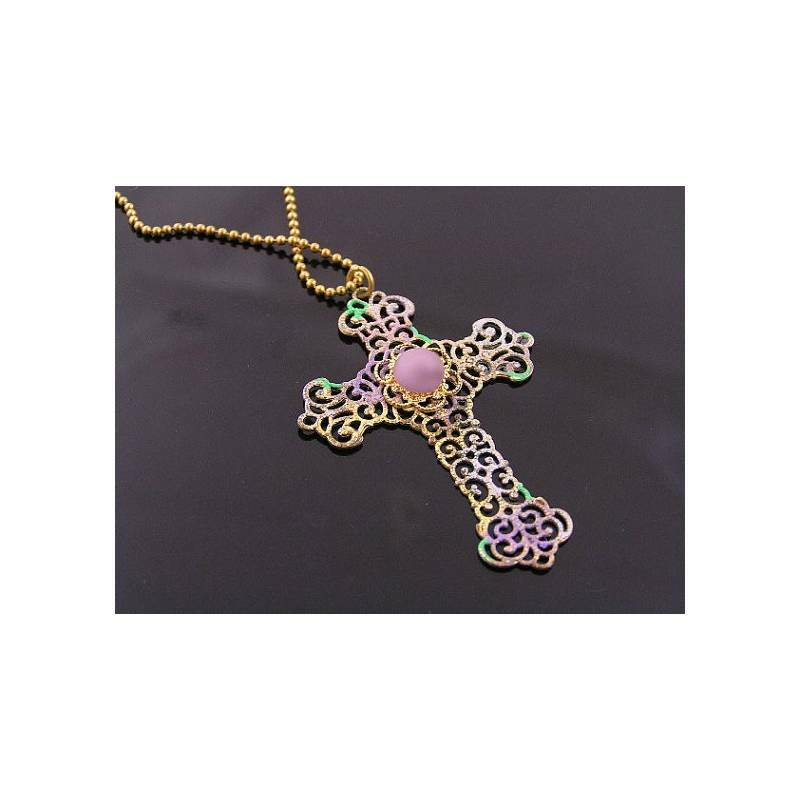 The cross is solid golden brass and has been embellished with light touches of coloured patina (permanent) to make it look like an antique treasure. 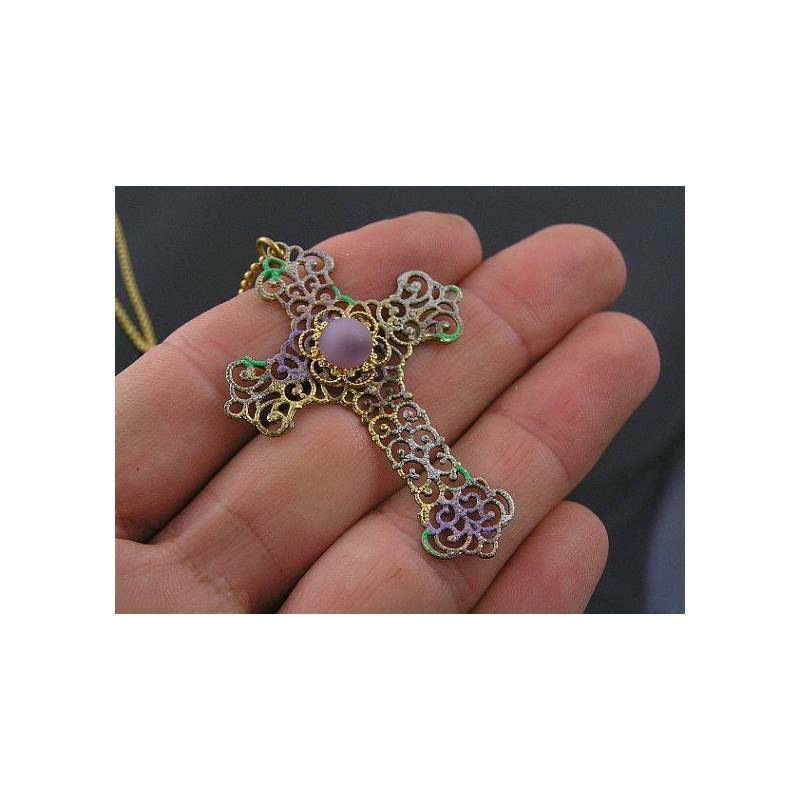 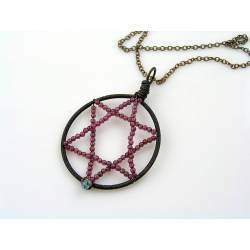 I also riveted a smaller filigree circle in the middle to hold a matte amethyst coloured cabochon. 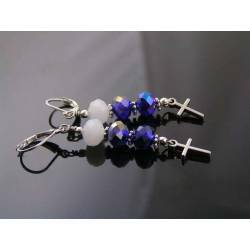 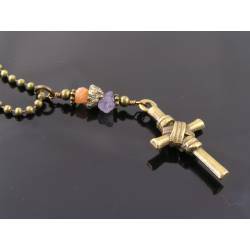 The cross is then attached to a slimline ball chain which closes with a spring ring clasp. 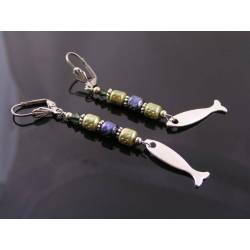 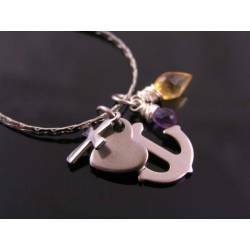 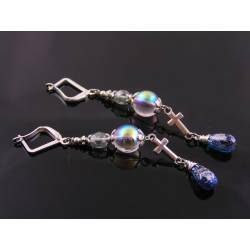 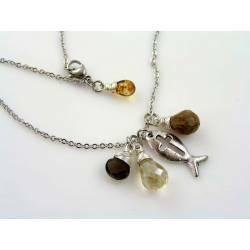 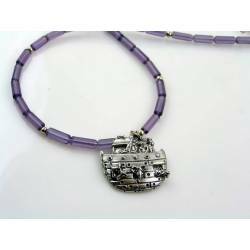 There is a small amethyst colored glass drop attached next to the clasp. 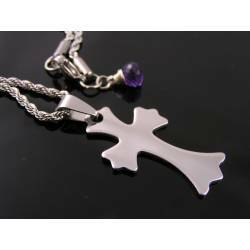 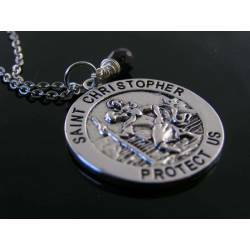 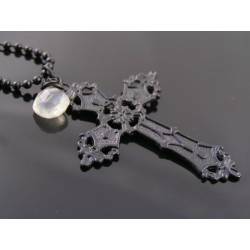 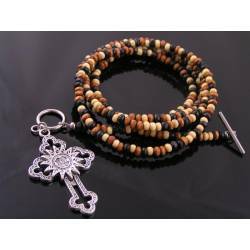 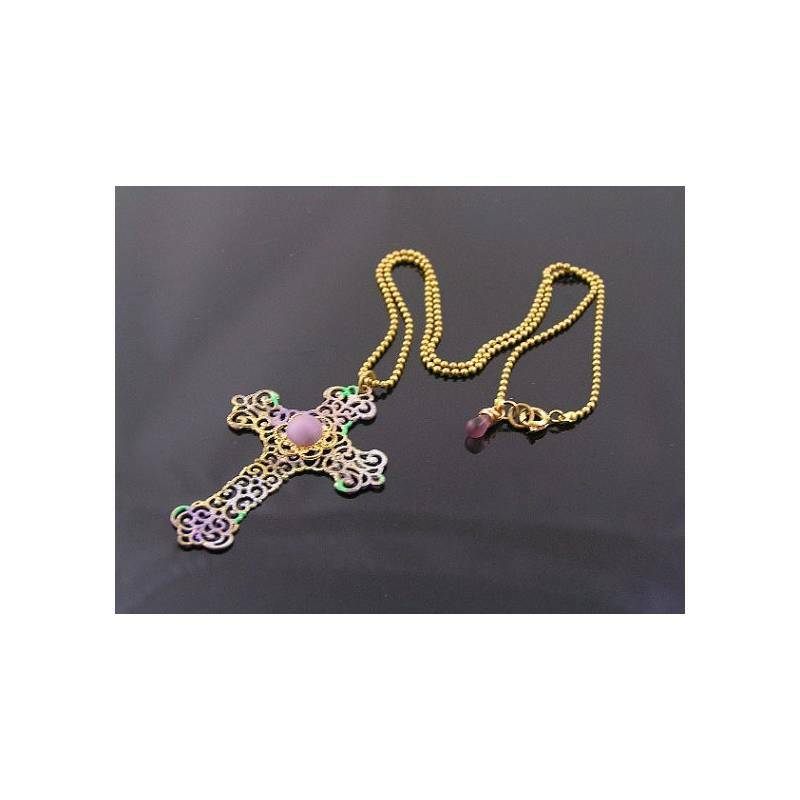 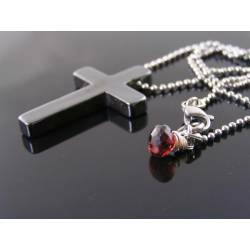 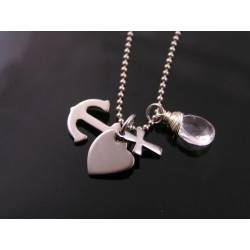 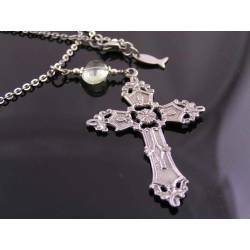 Total length of the chain is 42cm, the cross measures 5cm in height, 2.5cm in width. 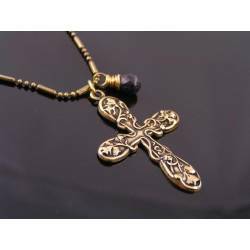 All metal is solid brass which has been sealed with a non-toxic jewellery lacquer to preserve colours and shine.